Insuring all of your family’s vehicles can get expensive. Switching to liability only coverage on one or more of your vehicles is one way to save money, but you should weigh the benefits of having full coverage against the benefits of saving money before you make this decision. 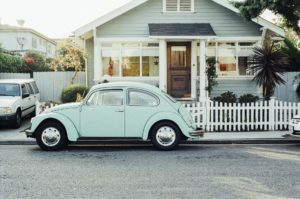 Here’s some information about the different parts of your auto insurance policy and some helpful tips to keep in mind. Full coverage insurance contains comprehensive, collision and liability insurance on one policy. If you are still paying off your car then you are usually required to keep full coverage on your vehicle and wouldn’t be able to opt for liability only. Liability insurance is the bare minimum that all states require by law that you carry in some form or another. This is what protects you if you were to injure someone else or damage someone’s car in an accident while driving. The amount of insurance you are required to carry varies state to state. Take Arizona for example. Drivers are required to hold coverage up to $15,000 for each person injured in an accident up to a maximum of $30,000 for the entire accident, and $10,000 worth of coverage for property damage. Comprehensive insurance is what protects your car from damage that isn’t caused by collision with another car or single car collision, like fire, theft, falling objects, explosions, floods and vandalism. Collision insurance covers both accidents that happen with another vehicle and damage that your car would sustain if you hit another object that wasn’t a car, like a light pole or a fire hydrant. Before you drop coverage to liability only, you should consider how much your car is worth. You can check out sites like Kelley Blue Book to help you come up with an estimate. Let’s say your car is worth $2500 and your premiums for full coverage insurance are $100 per month, or $1200 per year. Your deductible is $500. If you were to drive your car into a pole and cause major damage, would it be worth it to you to pay the $500 deductible? Or would that money be better spent going toward a new vehicle? If you are paying more in premiums in a year or two than your car is worth then it may be time to drop your insurance down to liability only. Keep in mind that if you are in an accident caused by someone else, his or her liability insurance will cover you and your vehicle. Another reason to focus on the road at all times and to be a safe driver! What’s in your emergency fund? Do you have enough in your emergency fund to replace your car if you were to back into a tree the day after you drop your car’s full coverage insurance? Is your car worth enough that you would want to pay for those repairs in full? If your emergency fund doesn’t contain enough money to replace or repair your car if an accident happens and you don’t have another vehicle to drive, then you shouldn’t drop your coverage. If you consider yourself a safe driver, but you aren’t ready to drop full coverage completely, you can try dropping collision first and continue paying for comprehensive and liability. That way you will still be covered if your car gets vandalized or that tree does fall on it. This is a good idea as long as you are keeping enough money in your emergency fund to pay for the deductible. Want more tips about whether or not to drop your insurance to liability only? At Gebhardt Insurance Group we are independent Insurance specialists, so we shop the nation’s top insurance carriers to find you the absolute lowest insurance rate for your home, automobile or business. Call us a call today at 520-836-3244. We’re here to help!